Capital Group is a real estate group committed towards quality that believes in adhering to values and ethical business practices for the benefit of the company. Thriving in the industry for more than 25 years, the company caters to a huge client base. Engaged in construction of residential, retail and corporate spaces, the company has won several accolades and appreciation from various corporations, retailers and innumerable families. 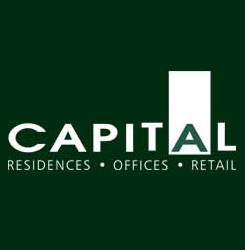 Capital Group aims to be the preferred real estate solutions-providers in the NCR. Hence the company has advantageously located most of its prestigious projects at Gurgaon, along the Dwarka Expressway and in South Delhi. The Capital Group was founded by Mr. B. N. Chandok. Capital Group is an expansive real estate entity that has four more sister concern organizations engaged in the realty business. With a dedicated mission to build structures that cater to futuristic needs and build business by fostering strong core values, the Capital Group has forged its way ahead leaving behind milestones in the form of the projects it has delivered. The company is devoted to creating a unique image for itself with buildings that boast of quality construction and excellent service. Capital Group finds its core values in integrity, respect, lasting relationships and a result-oriented approach that has helped them create a niche in the competitive market.